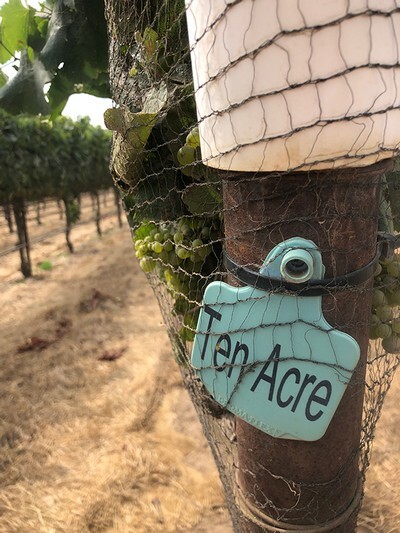 If you would like to experience the entire arc of the growing season and get an inside look into each of the five premium vineyard sites then sign up for the entire package. Take a tour and see behind the curtain as Zardo and each of the vineyard owners or managers discuss what is so special about that given vineyard while tasting wine made from the grapes grown there. With the one month spacing of each tour you will notice the transformation and growth that happens in the vineyard. You will see things like fruit set, veraision, how the canopy is managed throughout the season, and get a sense of what they look for when they pick the grapes. The series culminates back at the winery in October with Zardo discussing what happens to the grapes as the come in, some of his vinification practices, and tasting what wines taste like at the early stage as well as wines recently bottled and older library wines to see the evolution of our wine.